Monday, Oct. 22, 2018, 3:30 – 5 p.m.
Fearless Nadia, popularly known as hunterwali (woman with the whip), was the biggest draw of the 1930s Bombay box-office. Launched by Wadia Movietone in 1935 after a career on India’s variety entertainment circuits, this muscular, blue-eyed blonde starred in a series of fast-paced, action comedies that championed India’s independence, Hindu-Muslim unity and women’s rights. Nadia’s star persona effected a surprisingly daring unsettling of gender and racial identities that still resonates in the Indian public imagination, Vishal Bhardwaj’s film Rangoon (2017) being only the most recent homage to this ground-breaking star. 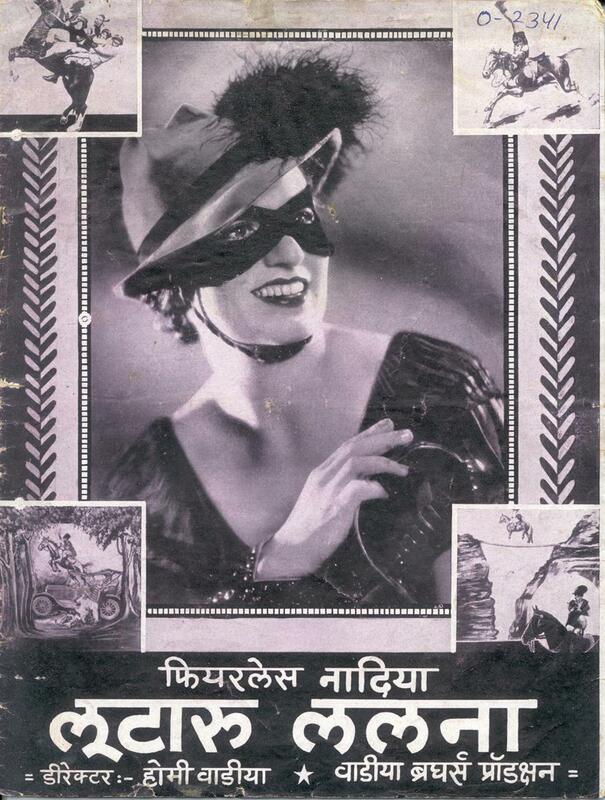 Drawing on original interviews, fan memorabilia, newspaper archives and films that include Hunterwali, Miss Frontier Mail and Looteru Lalna, this talk will explore the visceral qualities of Fearless Nadia’s performances and impersonations, arguing that these presented a potent challenge to the modern femininity of the bharatiya nari paradigm promoted by female impersonators such as Bal Gandharva. Nadia’s films offered lower-class men, women and children an experience of power and assertiveness, traces of which lived on as muscle memory over the decades. Rosie Thomas is Professor of Film at the Centre for Research and Education in Arts and Media (CREAM) and Director of the India Media Centre at the University of Westminster, London. Her early research as a social anthropologist was on the Bombay film industry and, since 1985, she has published widely on Indian cinema, with a special focus on pre- and early post-independence films. Throughout the 1990s she worked as a television producer making documentaries, arts and current affairs programmes for Channel 4, many on South Asia related topics. From 2019, she will be working with Joshua Oppenheimer on a three-year, AHRC-funded, practice-based research project Documentary of the Imagination. She is co-founder and co-editor of the Sage journal BioScope: South Asian Screen Studies. Her monograph Bombay Before Bollywood: Film City Fantasies was published by SUNY Press in 2015.